Marco (nacioss) closed T60754: Crash: Shadow cube size 1024 as Resolved. Marco (nacioss) added a comment to T60754: Crash: Shadow cube size 1024. AMD published a new version of AMG GPU drivers for Ubuntu 18.04.2 (version 19.10) (https://www.amd.com/en/support/graphics/radeon-500-series/radeon-rx-500-series/radeon-rx-580). I installed the OpenCL part only and it works well!! I think you can close this task as resolved! Marco (nacioss) created T63701: Eevee Volumetric end distance. 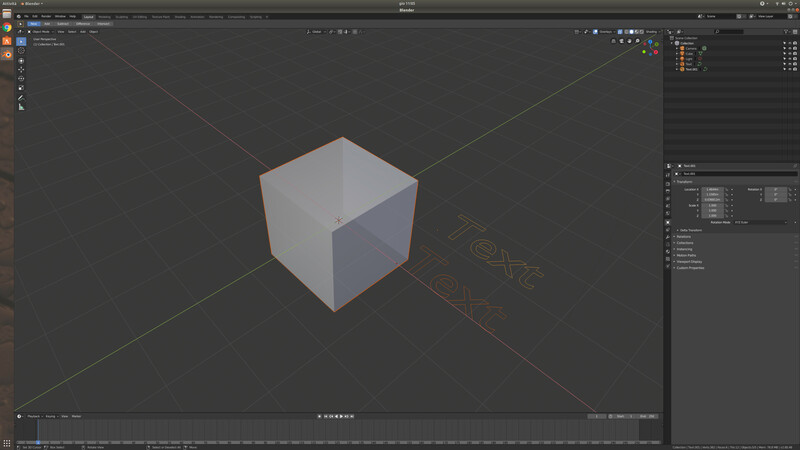 Marco (nacioss) added a comment to T63690: Blender Keeps Freezing While Exporting Model as FBX. Marco (nacioss) added a comment to T63628: CTRL+Z in Object Mode goes to Edit Mode. I think this is how the new undo and redo system works in 2.8. It does take into account also the switch between the nodes, and i like this feature. Marco (nacioss) added a comment to T63492: CTRL+click on an image in a UV or Image Editor crashes Blender. Marco (nacioss) added a comment to T63495: Torus incrementally changes size when unit is set to any value other than one.. I confirm, it happens in today's build 2019-04-10 in Ubuntu 18.04. 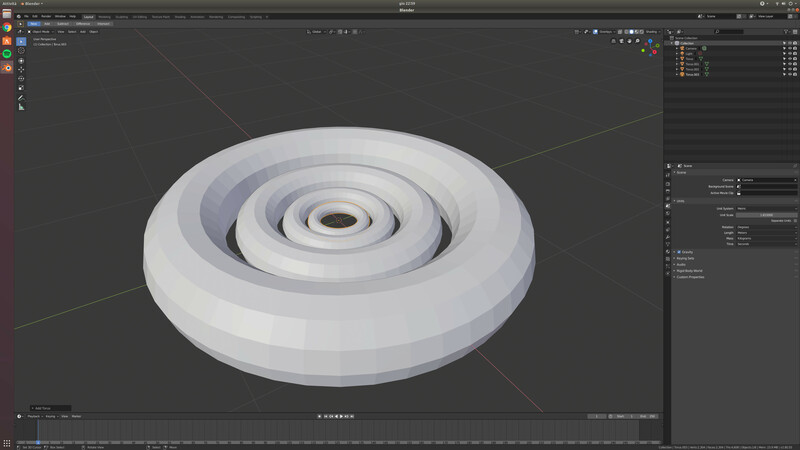 Weirdly it happens only for the Torus object, the other objects stay always the same size. 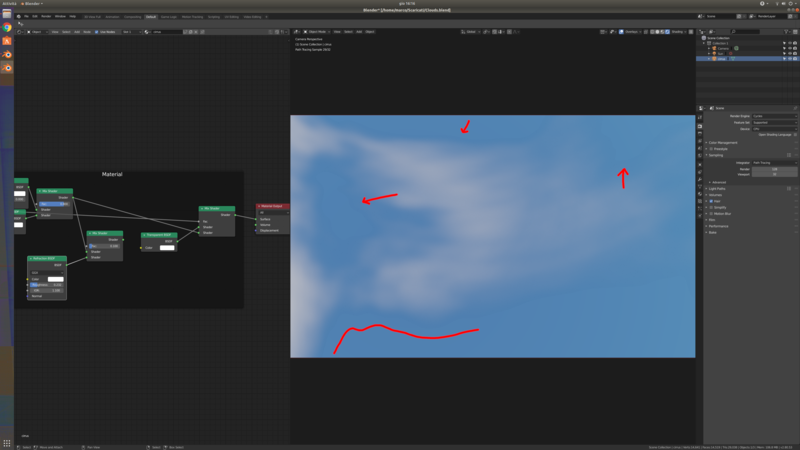 Marco (nacioss) added a comment to T63502: Hair Dynamic collision pulsing. 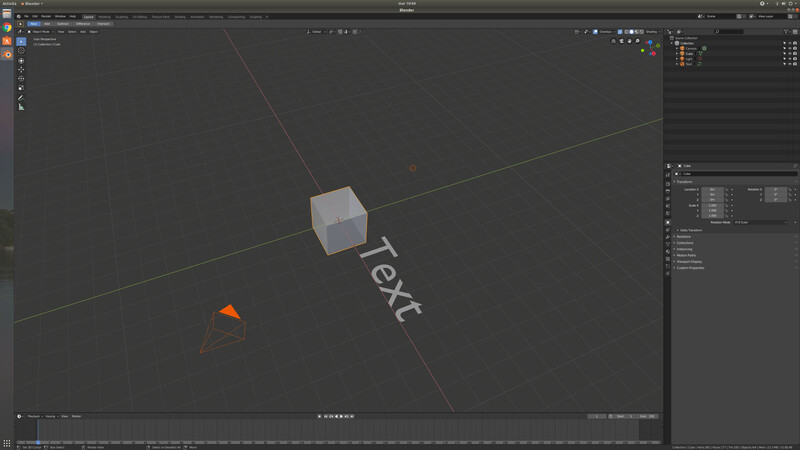 Marco (nacioss) added a project to T63504: Python Template demo script error: BF Blender: 2.8. Marco (nacioss) created T63504: Python Template demo script error. Marco (nacioss) added a comment to T63442: indirect lightning not the same before and after baking. That circle you are getting is because you have the lamp positioned near the cube, so the threshold is not only for the shadows, but also for the lamp's light. Marco (nacioss) added a comment to T63448: dragging in Image changes the resolution to square. I can't reproduce the issue in Ubuntu 18.04.2 with today's build 009dbc2bc9fb. What image format are you trying to add? Can you send me the image and maybe a blend file to test? 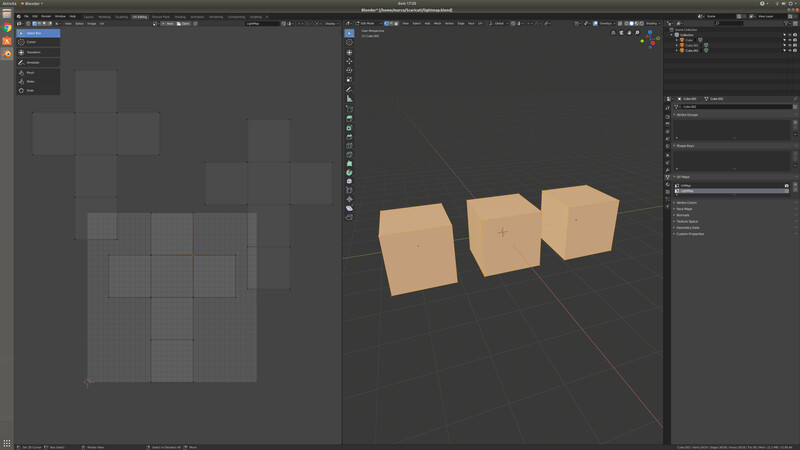 Marco (nacioss) added a comment to T63450: Eevee Texture Dimensions Different from Cycles. 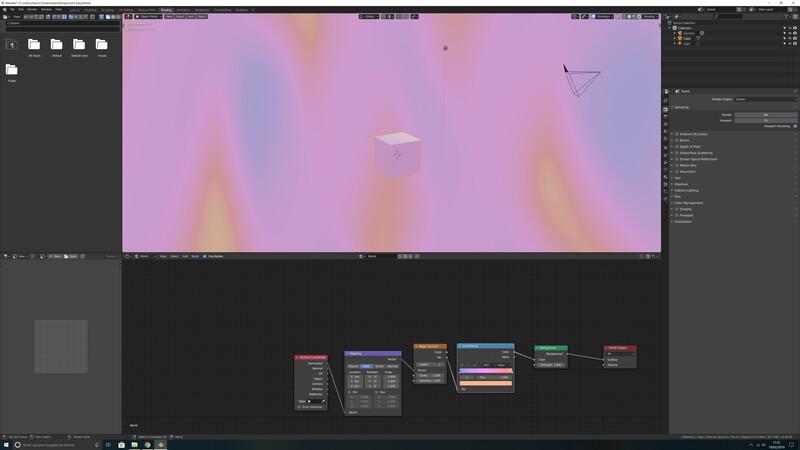 I can reproduce it, however, be aware that you are using Displacement for the ground material and Eevee doesn't support displacement, so i would suggest you to connect the noises textures to the bump node and to the normal of the principled. Marco (nacioss) triaged T63456: Blender 2.80 not working as Needs Information from User priority. 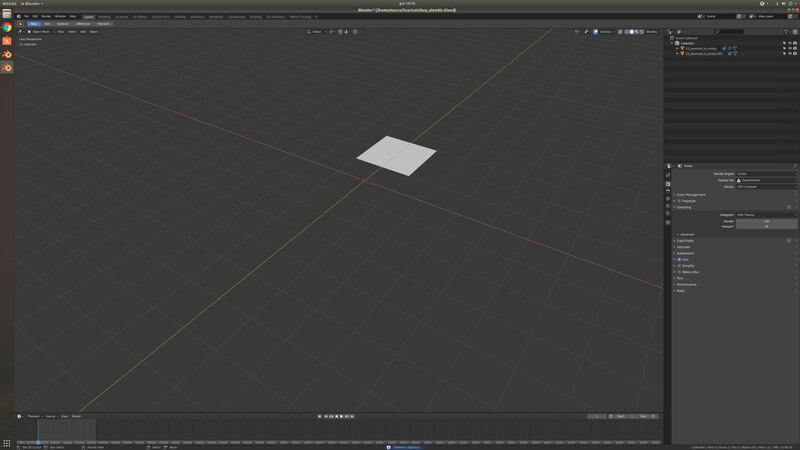 Marco (nacioss) added a comment to T63456: Blender 2.80 not working. Please, add all the missing information to your report: OS System, GPU, Detailed description of the error and exact steps for us to test. works only with Linux Kernel 4.15 (i tried with 4.18, 4.20 and 5 but i get the same error when installing) and i don't want to downgrade to 4.15 just for OpenCL support. So is there any mesa repository that i can use to install OpenCL? Otherwise i will go with proprietary AMDGPU 18.50 and i will continue to get the crash of the shadow cube size. Marco (nacioss) added a comment to T62692: Cycles transparency shader. This is what i have to achieve: a glowing effect for the sun rays passing through the clouds. If there are other ways you know to achieve it, please tell me. I want to test, so i installed Ubuntu 18.04.2 from zero, now there are no extra AMD drivers installed. So, i downloaded the latest AMD drivers from their website: amdgpu-pro-18.50-756341-ubuntu-18.04. Marco (nacioss) closed T63342: box cutter not loading as Invalid. Marco (nacioss) added a comment to T63342: box cutter not loading. Clay, you have to report this to the boxcutter developer, not here. Marco (nacioss) added a comment to T63317: EEVEE. Marco (nacioss) added a comment to T63286: Cycles principled BSDF artifact with transmission and IOR 1.0 (GPU). Marco (nacioss) added a comment to T63276: Crash when deleting a parent object after Alembic import. 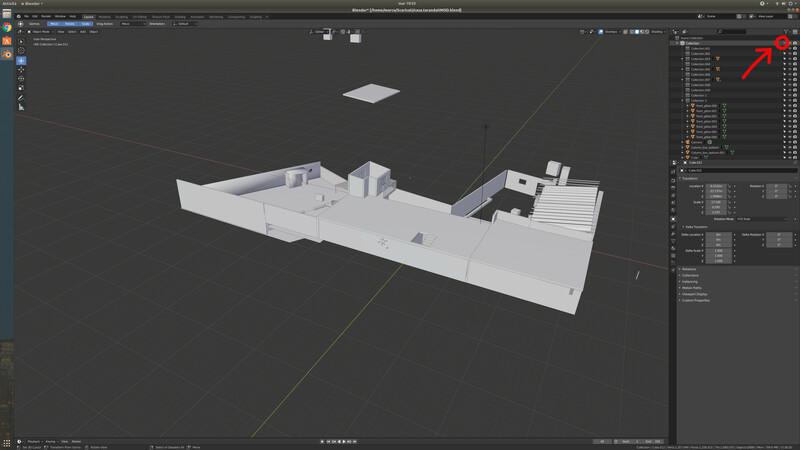 Marco (nacioss) added a project to T63259: Changing Editor type: BF Blender: 2.8. Marco (nacioss) created T63259: Changing Editor type. Marco (nacioss) created T63258: Particles system view icon. Marco (nacioss) added a comment to T63225: Wacky Hair dynamics. 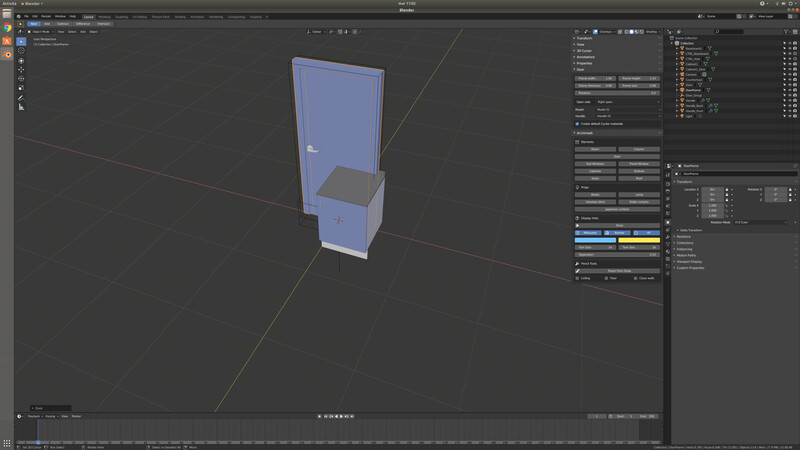 Marco (nacioss) added a comment to T63235: Blender exits when I open file attached. Marco (nacioss) added a comment to T63241: Instant crash upon parenting two separate armatures in the edit mode..
Marco (nacioss) added a comment to T63194: cycles settings disappear . 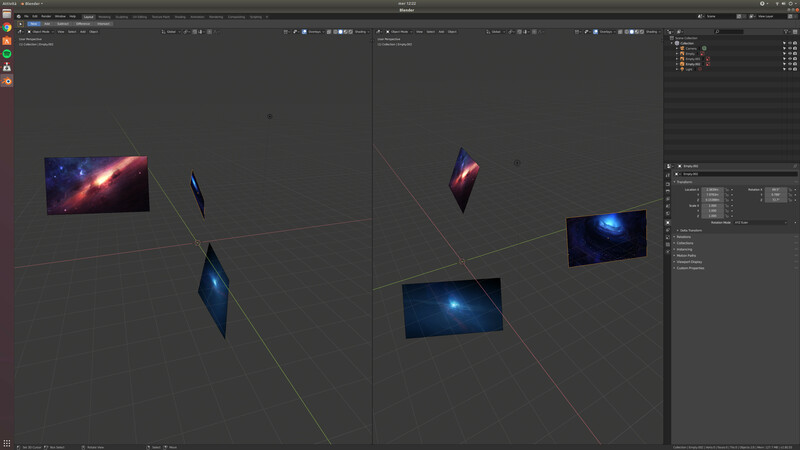 Marco (nacioss) added a comment to T63166: Particle systems emitting in grid-like patterns when vertex groups are used. Used Weight Paint to control the Density of the particles system. Marco (nacioss) created T63157: bpy.msgbus.subscribe_rna prints messages. Marco (nacioss) added a comment to T63089: insert hair crash . For me it doesn't crash on Ubuntu 18.04.2 with an AMD RX 580, but the Hair is not visible in edit mode. Can you try to Load Factory Settings and try again? 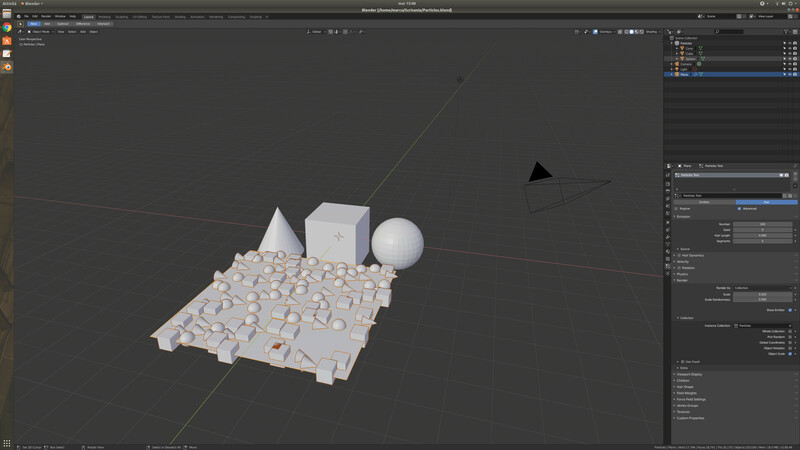 Marco (nacioss) added a comment to T63101: Blender crashes on adding any object to collection duplicated with added scene. Marco (nacioss) added a comment to T62479: Selected text object outline in Solid mode with X-Ray is not highlighted..
Marco (nacioss) triaged T62972: Deleting Problem as Needs Information from User priority. Marco (nacioss) added a comment to T62972: Deleting Problem. Marco (nacioss) created T62974: Removing Particle System changes slot. Marco (nacioss) added a comment to T62953: Selecting Collections and moving objects between collections using shortcuts. My proposal would be to have M+0 to move the selected object to the master collection instead of M+1. Marco (nacioss) added a comment to T62962: 2.8 The circle to change view gets locked with mouse pointer. Marco (nacioss) added a comment to T62948: Entering particle edit after baking hair dynamics causes crash. 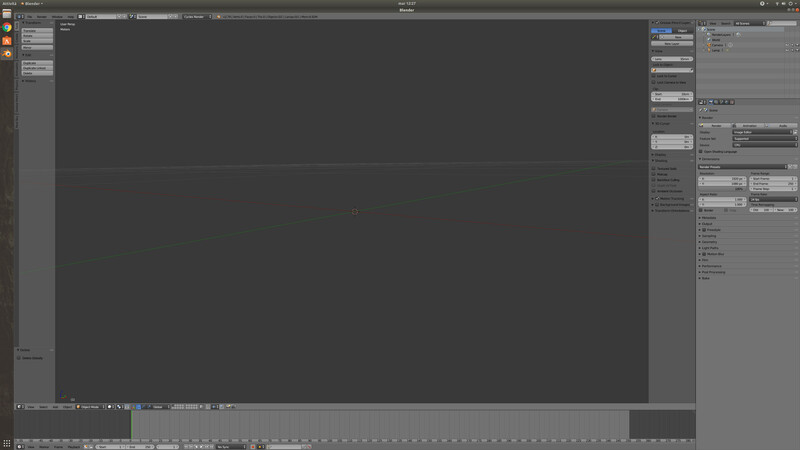 Strange, it doesn't crash for me but when i enter Edit Mode and then back to Object Mode it looses the hair. Marco (nacioss) added a comment to T62947: Box selection not working with Intel HD Graphics 620. I don't have any issues with today's build 2019-03-25, please try to Load Factory Settings then try again. Maybe a video showing what is being done could help developers understand and maybe fix the issue. 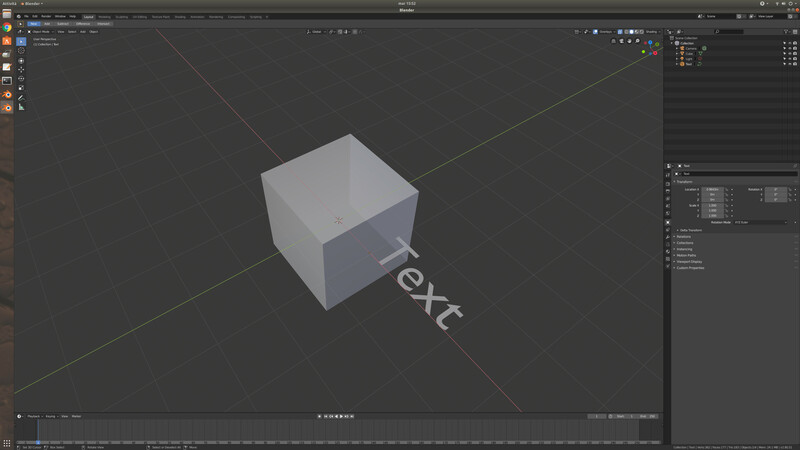 Marco (nacioss) added a comment to T62940: Opening a blender file last edited in 2013 causes Blender's fonts to go crazy. I don't have this issue in Ubuntu 18.04 with the same graphics card, please try to use the latest build of Blender 2.8 and Load Factory Settings for a clear blender startup file. 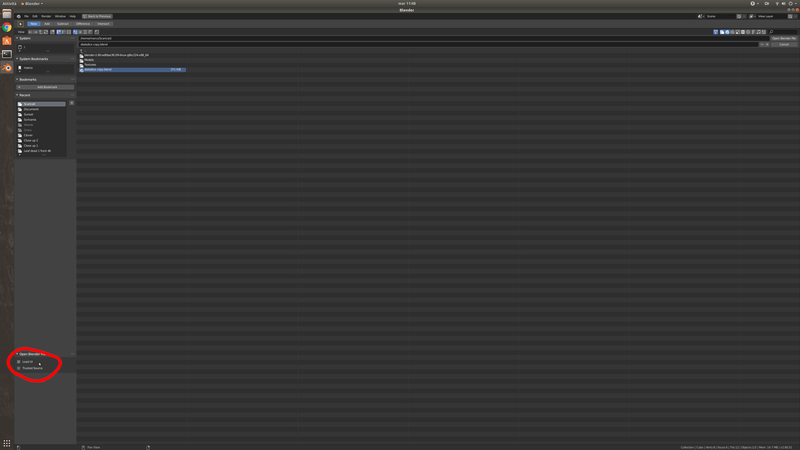 Then try to open the blend file with Load UI disabled like in the screenshot below. 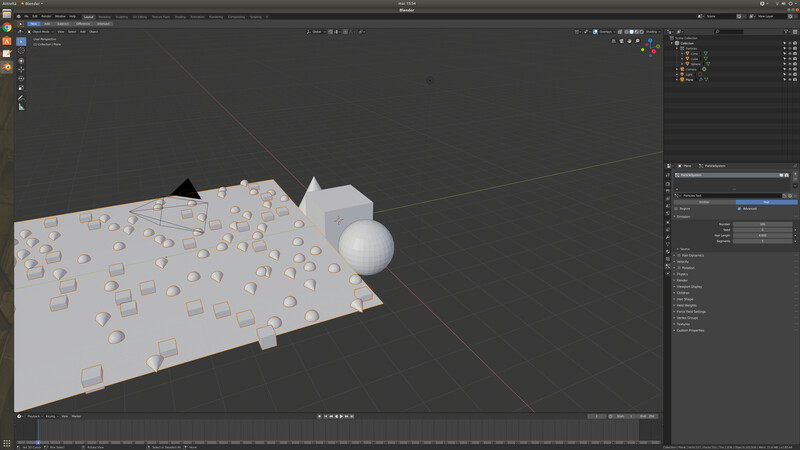 Marco (nacioss) added a comment to T62938: Blender crash while playing/baking the rigid body with force field simulation. Marco (nacioss) added a comment to T62931: Blender 2.80 - Incorrect rendering of subsurface in eevee after resizing the viewport region . Marco (nacioss) created T62959: Enabling addons gives RuntimeError. Marco (nacioss) added a comment to T62759: Blender keeps crashing. 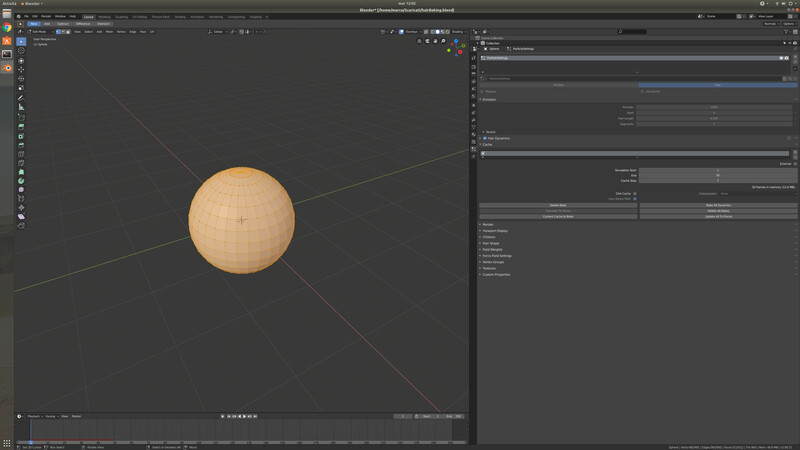 Marco (nacioss) closed T62748: Blender won't let me choose any object for editing as Invalid. That's because you have the selection icon disabled for the collection. Just enable it. 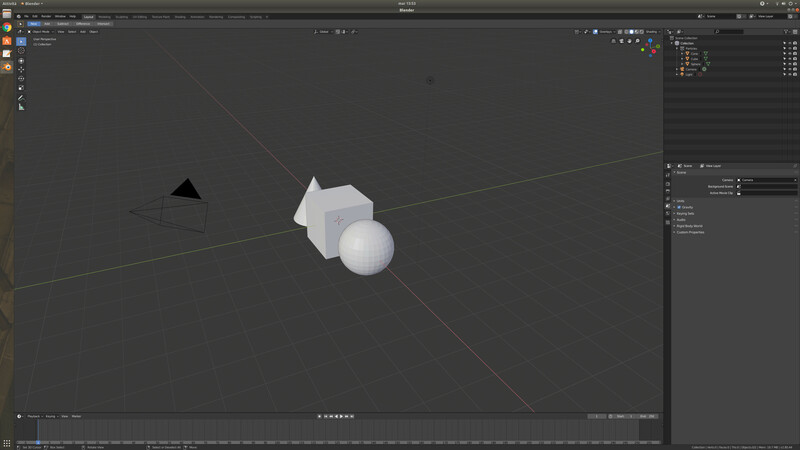 Marco (nacioss) created T62751: Multi-object-Mode: EditMode transform properties. Marco (nacioss) added a comment to T62738: transparent alpha planes not effected by depth of field. Marco (nacioss) added a comment to T62691: Default Clamp value. 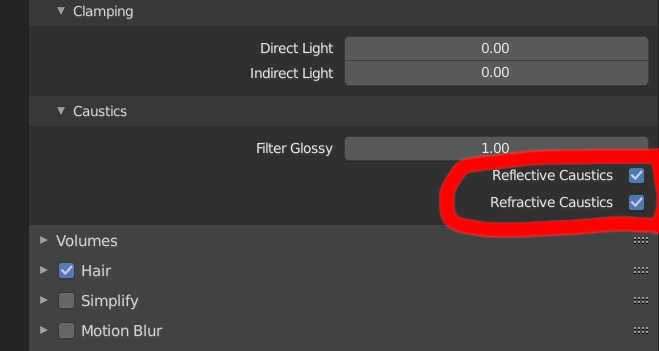 Then what about the caustics enabled by default? Don't tell me they are enabled in the production files. Nope, Clamp is set to 0. Brecht, you wrote it, "in production files the clamp is enabled". Most work i do is not for a short film, i do still images and having Clamp 0 is necessary. By the way, you said you set it to 10 because of noise, well i don't think it is the case since there is the Denoisier. And anyway having it set to 0 as default could prevent people with no experience to see weird results. 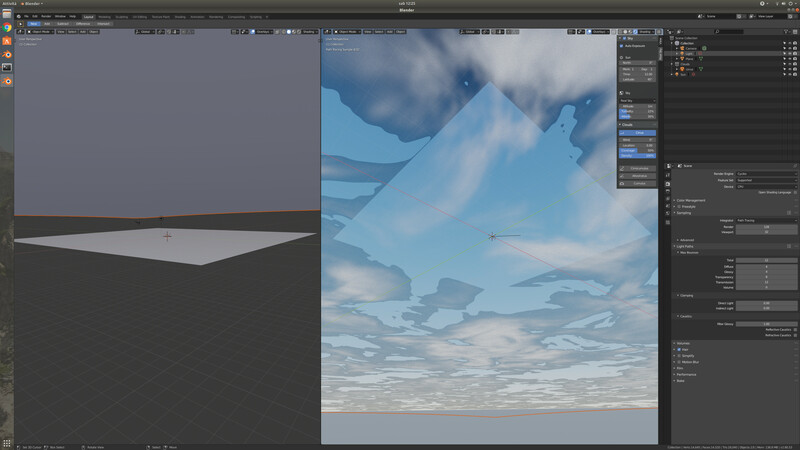 Marco (nacioss) created T62692: Cycles transparency shader. 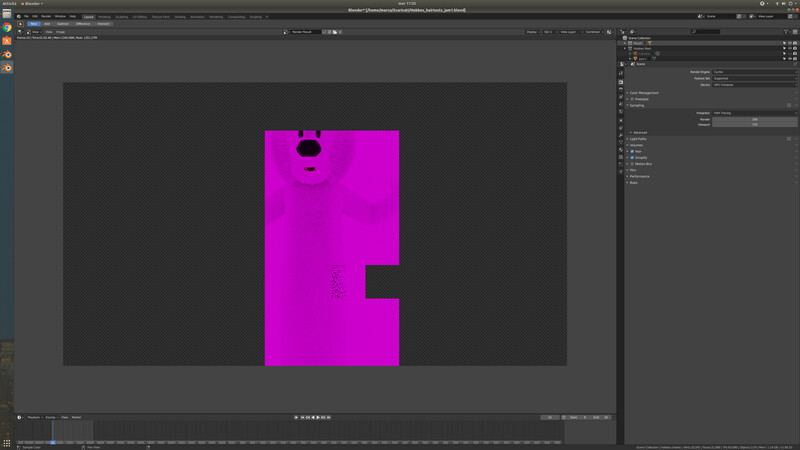 Nono, the clamp value remained 0 from Blender 2.7. 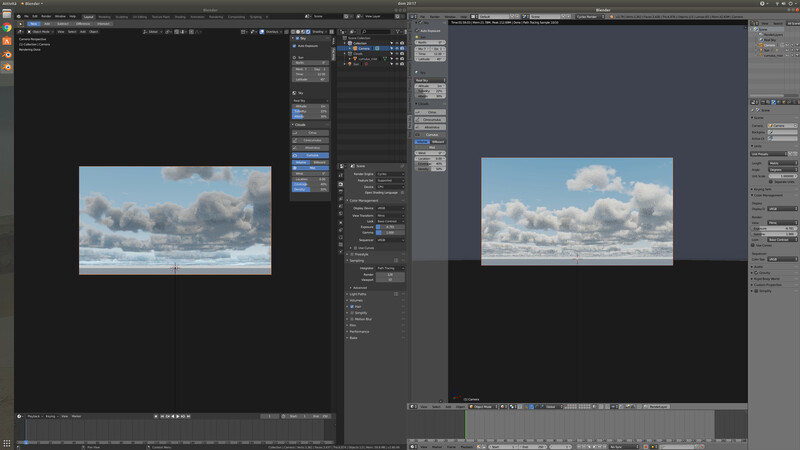 So the left window shows the generated sky in a new 2.8 project, the right window shows Blender 2.79 with the same values in the addon. 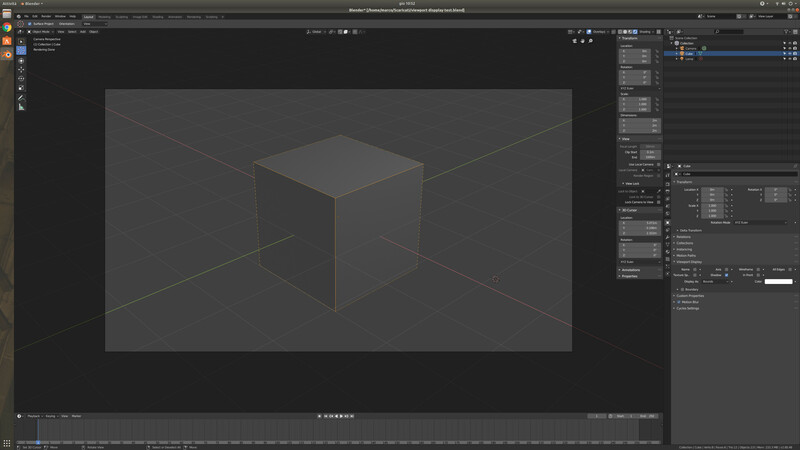 Then i started searching what was wrong, until i found that the clamp value of Blender 2.8 was 10 instead of 0. I really think you should set it 0 as default for new users not getting into trouble like me. Marco (nacioss) created T62691: Default Clamp value. Marco (nacioss) created T62571: Splash Screen branch is blender2.7. Marco (nacioss) created T62570: Append Particles System not working properly. 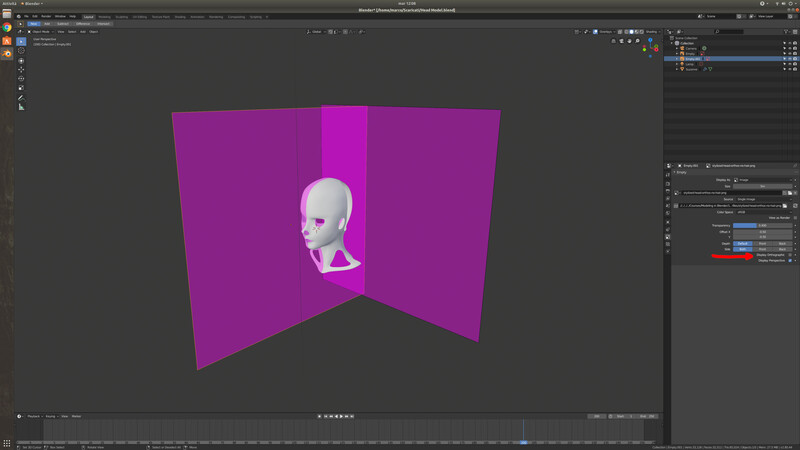 Marco (nacioss) added a comment to T62564: Object with "Viewport display" - "Display as" "Box" and "Wireframe" are not displays in render (EEVEE). 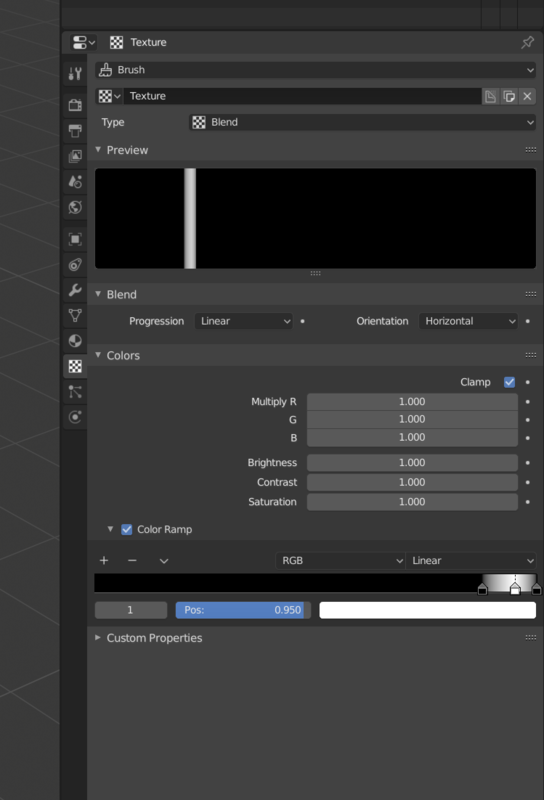 I confirm that if the display as is set to box or wireframe, then it doesn't render in Eevee and Lookdev, but in Cycles the object does show up. 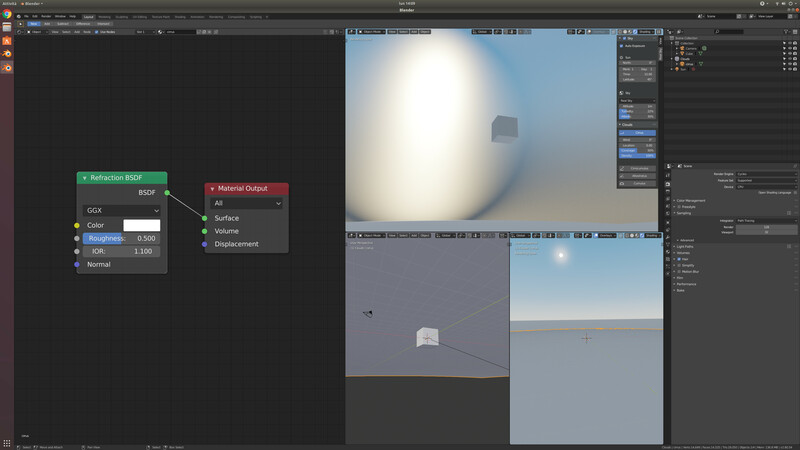 Marco (nacioss) triaged T62473: Blender 2.80 Canceling of visibility actions during opened panel with object default parameters. as Normal priority. Marco (nacioss) triaged T62475: Archimesh error as Needs Information from User priority. Marco (nacioss) added a comment to T62475: Archimesh error. I can't reproduce the error, what Blender version are you using? Can you describe the problem step by step to reproduce the issue? I confirm! It does happen only when adding a Text object, for all the other objects it works. Marco (nacioss) closed T62315: Crash when armature made parent of Suzanne with Automatic weights or envelope weights as Invalid. Marco (nacioss) added a comment to T60893: Handler frame_change_post not working properly. It works with today's 11th March 2019 build! The animated values correctly update the materials! 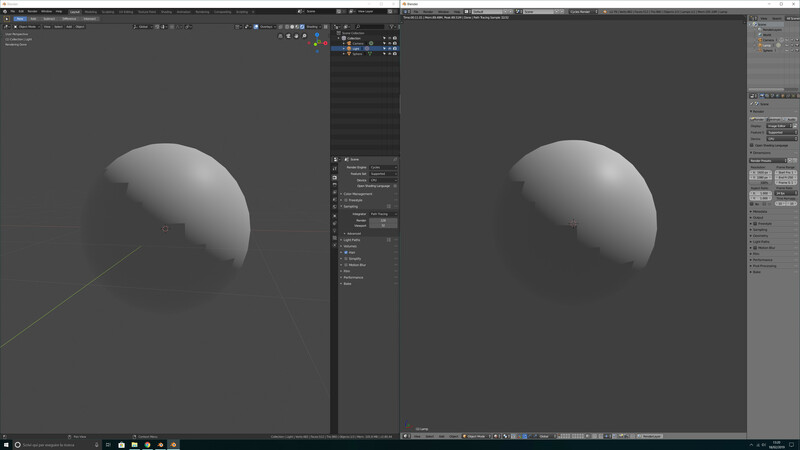 Marco (nacioss) added a comment to T62401: Normalmaps appear inverted in Reflection Planes in Eevee. Marco (nacioss) added a comment to T62315: Crash when armature made parent of Suzanne with Automatic weights or envelope weights. Marco (nacioss) added a comment to T62183: Hair doesn't render on rigged model. Please can you provide a blend file to test? Marco (nacioss) added a comment to T62173: error initialliz video stremeng. Please can you add a description of the error with some screenshots and a blend file to test the issue? Marco (nacioss) added a comment to T61710: Render crashes every 400 to 700 frames. 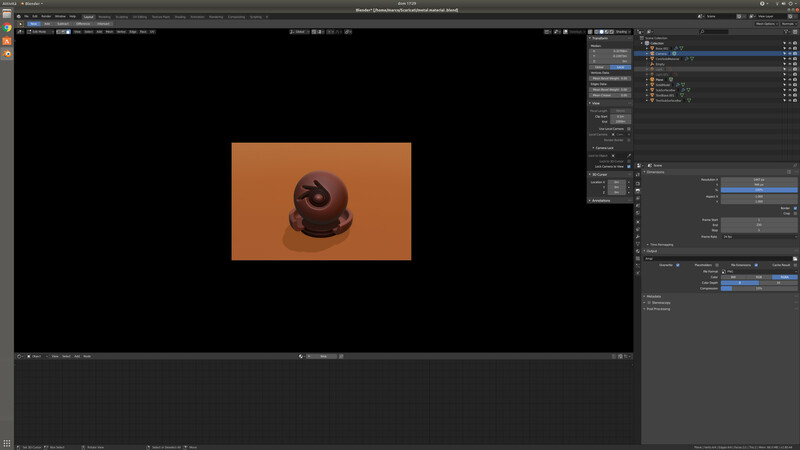 Marco (nacioss) added a comment to T61699: Background doesn't render in EEVEE in the rendered mode. It is working for me with the today's build of 2019-02-19. Marco (nacioss) added a comment to T61666: mathematical operations in light 'power' field with letter W crash Blender. Marco (nacioss) added a comment to T61668: Smooth shaded faces render like flat shaded. Marco (nacioss) added a comment to T61640: Image as Plane cloth error. Yeah, it does get weird results in your blend. Marco (nacioss) triaged T61605: "Blend" texture preview offset as Confirmed, Low priority. Marco (nacioss) closed T61604: HSV color reset when set to 1.0 as Invalid. Marco (nacioss) triaged T61658: changing light power to 11W crashes as Confirmed, Medium priority. Marco (nacioss) added a comment to T61654: [Eevee] Point lights shine through walls. This method will reduce the ghosting of the walls. Marco (nacioss) added a comment to T61656: materials quit. Please provide a detailed description of the crash, specify the exact steps to reproduce it and specify if you are using Cycles or Eevee and maybe provide also a .blend file so we can test it. 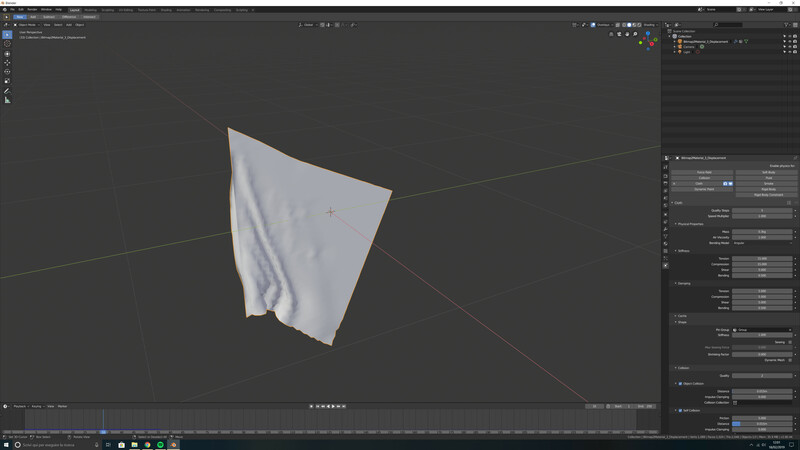 Marco (nacioss) added a comment to T61617: Blender exit after trying to open metal material.blend from http://bit.ly/2TWFVLB from a youtube video Blender 2.8 create a metal in 3 minutes. Marco (nacioss) added a comment to T61635: Multiple UV maps editing not working properly. Marco (nacioss) added a comment to T61628: Black Objects in LookDev mode. Marco (nacioss) created T61482: Warning: "Error: not freed memory blocks: 2". 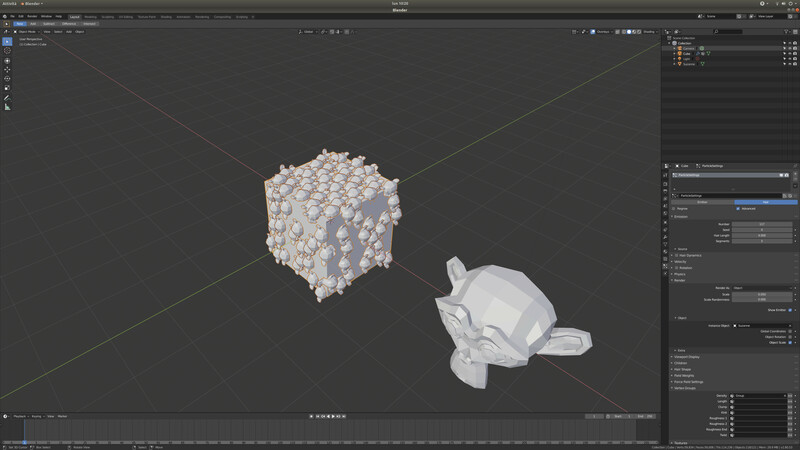 Marco (nacioss) added a comment to T61453: Crash: Cycles render Particles System. Marco (nacioss) added a comment to T61447: Weird grid streaks. Marco (nacioss) updated the task description for T61453: Crash: Cycles render Particles System. Marco (nacioss) created T61453: Crash: Cycles render Particles System. Marco (nacioss) closed T61157: My screen is all Black... as Archived. Marco (nacioss) closed T61186: Reference Images Disappearing as Archived. And for empty.001 you had just the Display Orthographic option enabled. Marco (nacioss) added a comment to T61202: Workbench poor antialiasing in Xray mode.